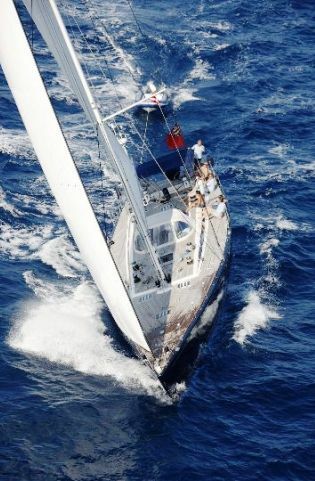 ASTRO DE L’EST is a Nautor Swan 82 foot sailing yacht as launched in 2000. 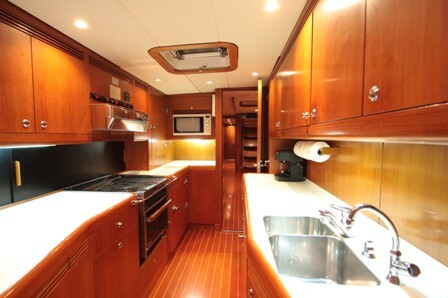 She is a true cruiser/racer where both comfort and fantastic sailing performance are achieved. 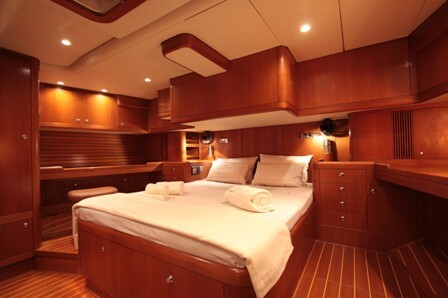 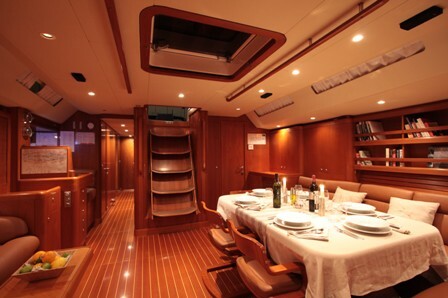 This Swan 82 provides accommodation for up to 6 guests on a luxurious charter vacation. 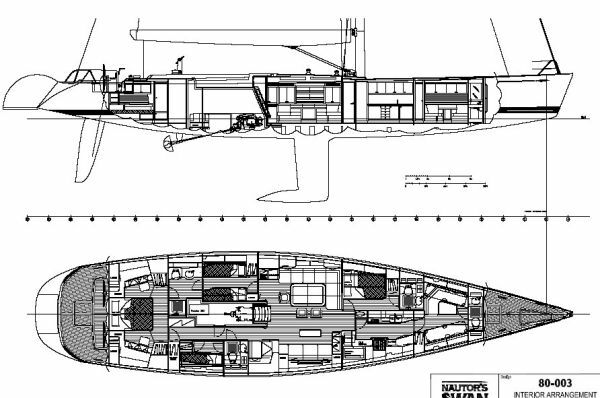 The Nautor Swan 80 concept called for a light, fast, elegant and comfortable super yacht, taking the cruiser/racer concept to the next level. ‘Speed, seaworthiness, technology and innovation without compromise’. 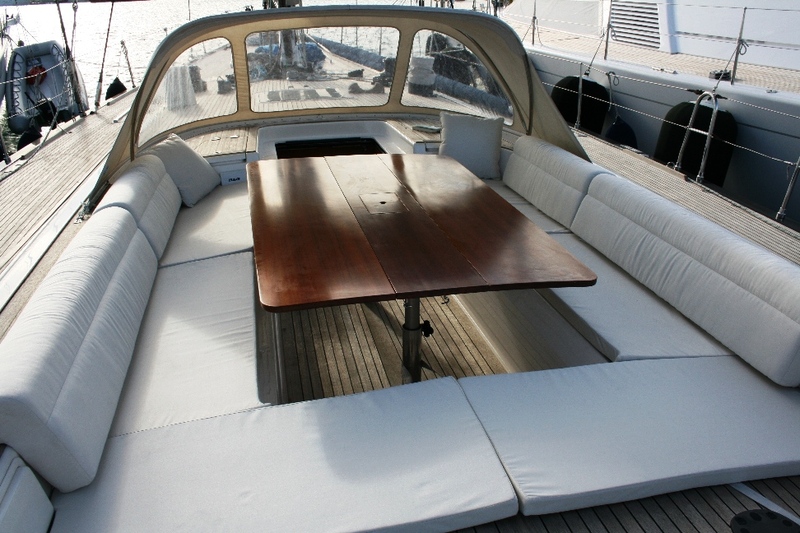 Nautor’s advanced ‘Regatta’ lay-up consists of R-Class/aramid hybrid fibre with matched vinylester resin. 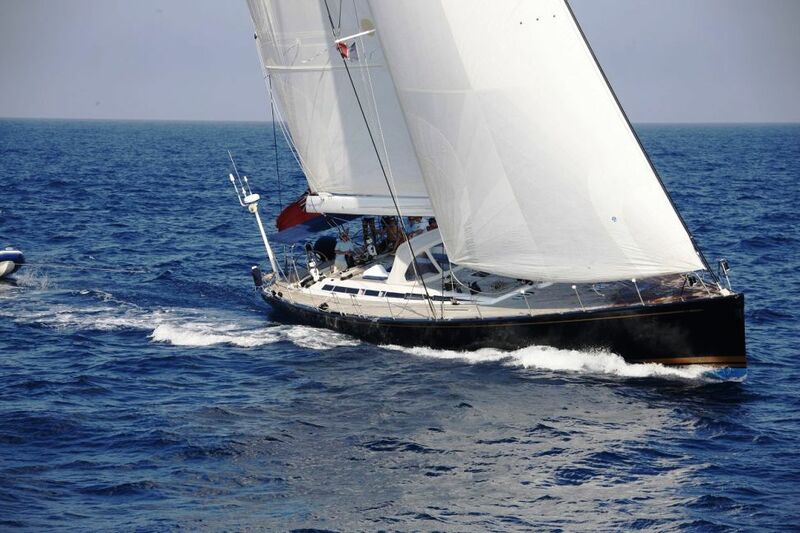 The main construction parameters are weight reduction for speed, increase of strength for seaworthiness and reduction of noise and vibration for smooth and comfortable sailing. 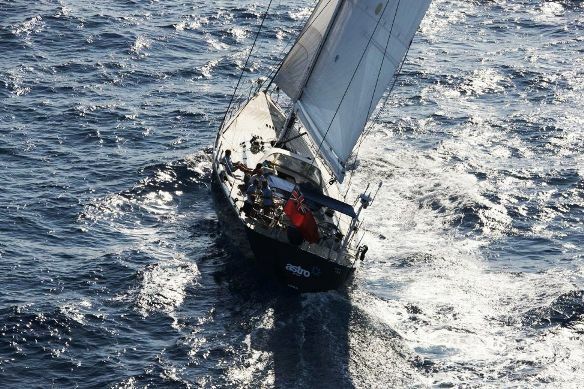 ASTRO DE L’EST has had the benefit of numerous upgrades during construction and post building benefiting from the owner’s experience of owning four previous swans. 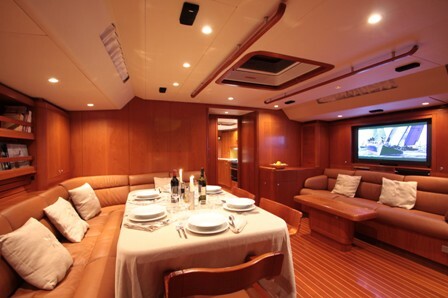 These upgrades have always been made with full consultation with the factory. 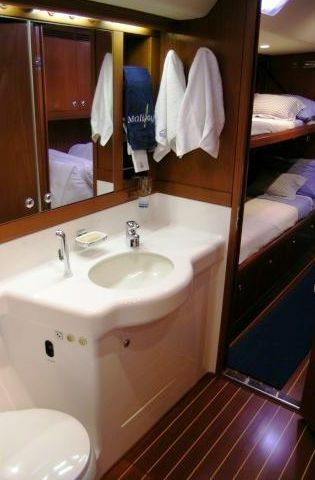 In 2007/08 she also underwent refit with New navigation and radar system, a replacement of all fabrics (below deck) and leather covers; renewed main engine; she has a new cooling system and air conditioning units; there’s been a partial change of mattresses and covers and a new BOSE entertainment system. 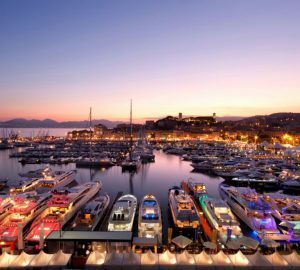 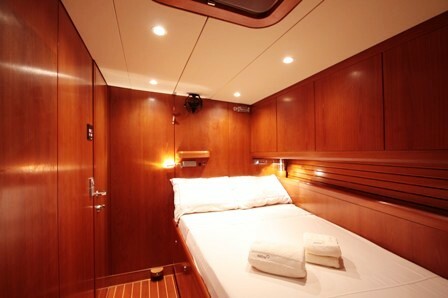 ASTRO DE L’EST a Nautor Swan 82 offers comfortably accommodation for 6 guests and maximum accommodation for 8. 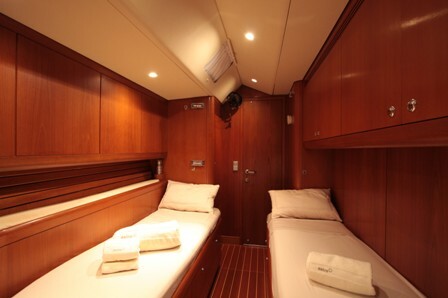 The configuration consists of a full width master cabin, 1 double cabin with a Pullman and 1 twin cabin. 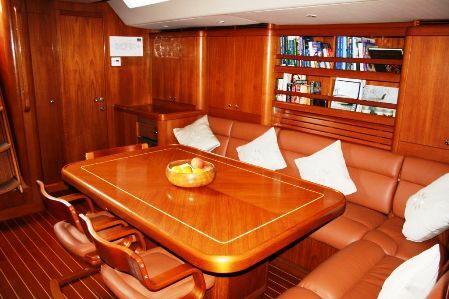 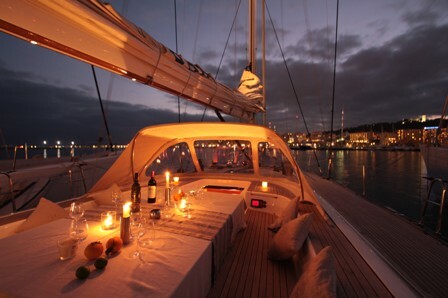 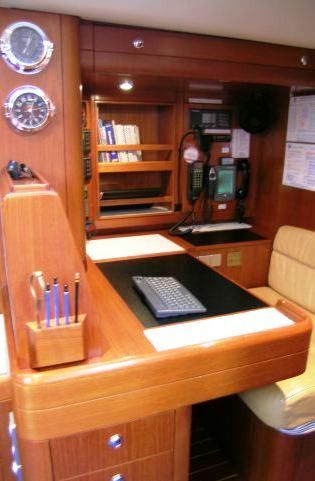 The Captain’s cabin, a twin can also be used for larger parties if necessary however overall, the yacht is most comfortable for 6.